New films and TV shows take on abuse of power. 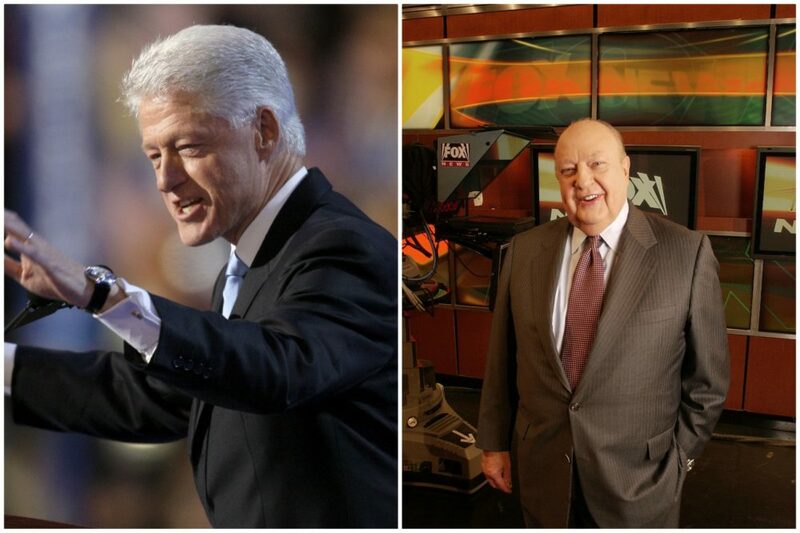 We talk with the women who directed two of them — one on Bill Clinton, and one on Roger Ailes. Credits Note: For "Divide and Conquer," the film is presented by A&E IndieFilms, the feature film production arm of A+E Networks, and Impact Partners, and produced by Jigsaw Productions in association with Baird Films. "Divide and Conquer" will be released theatrically on Dec. 7, and will air on A&E after the theatrical run. For "The Clinton Affair," the six-part limited documentary series aired on A&E Network Nov. 18-20. 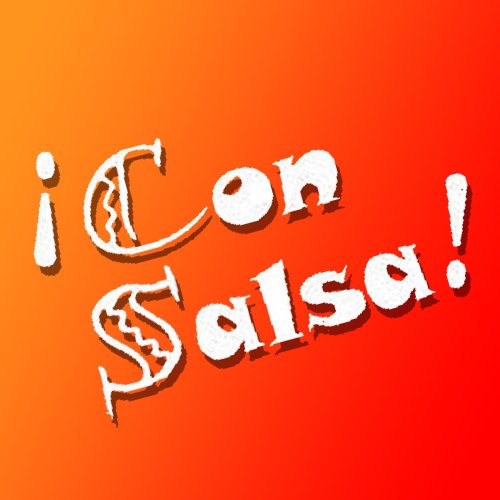 The series was produced for A&E by Jigsaw Productions and Instinct Productions. Viewers can watch the series on A&E’s On Demand platforms or via direct-to-own services such as iTunes and Amazon. On the power of documentary in telling the story of "The Clinton Affair"
Blair Foster: "I lived through that era, and I thought, 'Oh, I lived through this, I know what happened, this will be an interesting thing to revisit.' And then I almost immediately realized I know almost nothing about this. The thing I love about documentary. and in particular longform documentary is I think it allows you to do this incredible deep dive into something — we spent a year living, breathing everything impeachment and Clinton, and it allows you to kind of step back and take this long-term, bird's-eye view of things in a way that you don't have when you're living through it. "When you're living through events, you're experiencing your life and the politics are this backdrop to what's going on in your everyday life. And you're reading the news and you're watching the news, and you're hearing snippets of things, and spending a year devoted to this, diving into it, I realized everything that I thought was a kind of reduction, was a caricature, or was a very one-dimensional depiction of something." BF: "We did three separate interviews with Monica over the course of a year. She's a very smart person and she's also in a reflective moment. She knew this was the 20th anniversary of the impeachment and there was going to be a lot of media surrounding it. And I think that she was at a place where she felt ready to tell her version of what happened, fortunately, through some mutual acquaintances, Monica and Alex Gibney, one of our executive producers, were put together, and she agreed. I think it's important to note she agreed to participate in this because this is a series about the impeachment. It's not a series about her. And she she felt it was very important that her role in these events be accurately portrayed. She's obviously not the only person who is involved in these events. And so I think that she felt like this was an opportunity to get her story out there. "It was a very emotional process, obviously, and it was very interesting because it played out over the course of the #MeToo movement. We did the first interview right, kind of on the cusp of the Harvey Weinstein story breaking. Between the first and second interviews, it was very interesting. And she's written about this in Vanity Fair, her own coming to terms with this relationship and the disparate power in their relationship. She's always been very clear that this was a consensual relationship. I don't think she considers herself part of the #MeToo movement in the sense of someone having been victimized in that way. She is still processing. And I think her story brings up some very interesting conversations that we're having around #MeToo, which is the sort of gray area. I think there are those sort of cut-and-dry Harvey Weinstein, predator, Roger Ailes type of cases, but we're starting to get into those gray areas, where, what does it mean when there's a relationship that's consensual but such an extreme — I mean, you don't get more extreme of a power balance than between the president of the United States and a 22-year-old intern. And what does that mean? And I think she's asking those questions along with the rest of us." "She knew this was the 20th anniversary of the impeachment and there was going to be a lot of media surrounding it. And I think that she was at a place where she felt ready to tell her version of what happened." Alexis Bloom: "Roger Ailes is a fascinating character, and even though he sort of occupied the headlines for a short amount of time because of the sexual harassment aspect of his career, I felt like not that many people were familiar with his name, despite the fact that he had such a profound effect on American politics and American culture. ... Nobody understood that he had such deep roots in American politics — that he'd been around since '68, that he'd influenced the careers of Nixon, George H.W. Bush, Reagan and had been partially responsible for the election of Donald Trump. This great kind of Citizen Kane-like character, who was equal parts charming and thuggish, explicitly thuggish. I thought he was both a fascinating character study and also a fascinating way to understand our particular moment in American life. "Roger had been conducting things at Fox with a recklessness that was unexpected. And the people covering up for him were legion — he made a hell of a lot of money and people just looked the other way. The Murdochs looked the other way and then surprisingly a number of women protected him. His legal counsel was a woman, Dianne Brandi. His assistant had been assistant for decades, fudged the books, she was a woman. His head of PR, who was kind of a known mistress of the dark arts of PR, she was a woman. So you had this kind of bodyguard of henchmen, henchwomen around him who facilitated his behavior." AB: "Money, baby. It's like, he made over $1 billion a year, and nobody wanted to mess with that. I mean, Rupert Murdoch explicitly said, 'Don't look too closely.' He was a huge moneymaking machine. I guarantee if he'd stopped making money or the audience had dragged, he would've been under greater scrutiny. "The more money you've got, the more power you've got, and the more power you've got, the more money you've got. They're just such lovely, comfortable bedfellows." "It's like, he made over $1 billion a year, and nobody wanted to mess with that. I mean, Rupert Murdoch explicitly said, 'Don't look too closely.' "
Associated Press: "Film on Roger Ailes looks at creator of ‘outrage factory’" — "Roger Ailes might not always have been a household name during his time at Fox News, but many media commentators believe he changed the TV landscape forever. As the architect of the conservative cable news channel, Ailes created a beacon for what he deemed as an underserved news market. "Now the world that Ailes created is the subject of a new documentary, 'Divide and Conquer: The Story of Roger Ailes.' Directed by Alexis Bloom, the film deconstructs the rise and fall of the late head of Fox News Channel. It opens in theaters on Dec. 7, as well as VOD, Apple iTunes, and Amazon streaming services. "'To be honest with you most of the time that I told people I was working on a film about Roger Ailes, people didn’t know who he was. I think people in media really knew who he was, because he made such a big impact,' Bloom said. "The general public, however, probably knows him more for the swift turn of events that led to his ouster. Ailes was brought down by a plethora of sexual harassment lawsuits, both directly and indirectly related to him. "Bloom goes beyond the scandals, breaking down how the onetime Fox News chairman built a dynasty by delivering content to a conservative audience and marketing it as 'fair and balanced' news." "That’s an insight that one gains with time, with the grace of years. She was 22 years old when she fell hard for the most powerful man in the world; analyzing the situation and assessing the risks, dangers and deceptions were not yet in her repertoire. She may have been of legal age, as both Bill and Hillary Clinton have repeatedly pointed out, but a 22-year-old is still locked in the fantasies and flights of imagination that define the very young. Powerful men who seek out vulnerable people to play with know that. They know in advance that the dance floor is theirs, they will always be leading, and whatever damage is done to their dance partner will never fall on them. "I was 17 when I got involved with my high school English teacher. I went to a coed boarding school in Arizona, a tiny community perched in the middle of the desert. With no town or city around us, we were our own little world. In that small sequestered domain, my teacher — while not president of the United States — was very powerful. He was also handsome, athletic and creative, and he took a strong interest in my writing. I remember clearly the moment it started. After he sent flirtatious signals, I wrote a poem that was, obliquely and rather delicately, about him. He was monitoring study hall one night, and I crossed the room, handed it to him and went back to my seat. The look he gave me after reading it set in motion the next two years of my life." The Hollywood Reporter: "It’s a Golden Age for Women Documentary Filmmakers. Or Is It?" — "When Blair Foster and Alex Gibney set out to make the definitive documentary about the historic impeachment of Bill Clinton, they knew they couldn't do it without Monica Lewinsky, whose life was turned upside down by the team of then-special counsel Ken Starr (which included current Supreme Court nominee Brett Kavanaugh). After some wooing by mutual friends, Lewinsky agreed to several candid on-camera interviews and, on Nov. 18, A&E will premiere the six-part 'The Impeachment of Bill Clinton' (working title) about the whole impeachment saga — which takes on new relevance amid the current special counsel investigation. "The series, revealed here for the first time, also includes explosive never-before-seen footage of Bill Clinton (who did not participate) as well as new interviews with his accusers Paula Jones, Kathleen Willey and Juanita Broaddrick. But in an episode screened by THR, it was Lewinsky, now 45, who emerged as the most compelling presence, especially in the wake of the culture's collective re-examination of the treatment of women in the workplace. "At a time when the market for nonfiction film and television is exploding, Foster is among an emerging group of prominent female directors making their mark. Several have come up at Gibney's Jigsaw Productions, known for investigative deep dives like the Oscar-nominated 'Enron: The Smartest Guys in the Room' and HBO's 'Going Clear: Scientology' and 'the Prison of Belief,' as well docs on complicated figures like Robin Williams and Eliot Spitzer. "We're detectives," says Foster. "We're trying to find everything: photos, footage. We're trying to get people to reveal themselves." Alison Ellwood, who has directed several music and culture films at the company, including 'History of the Eagles' and 'Magic Trip,' which chronicled counterculture icon Ken Kesey's LSD-fueled 1964 road trip, also has a new film, about L.A.'s Laurel Canyon music scene of the late '60s and '70s that included Joni Mitchell, Jackson Browne and Frank Zappa." Vanity Fair: "Does Documentary Guru Molly Thompson Have a Crystal Ball or What?" — "When Molly Thompson, the founder of A&E IndieFilms, was green-lighting documentaries three years ago, she had no way of knowing that four of her choices—all with fall debut dates—would perfectly reflect the chaotic political and cultural zeitgeist. 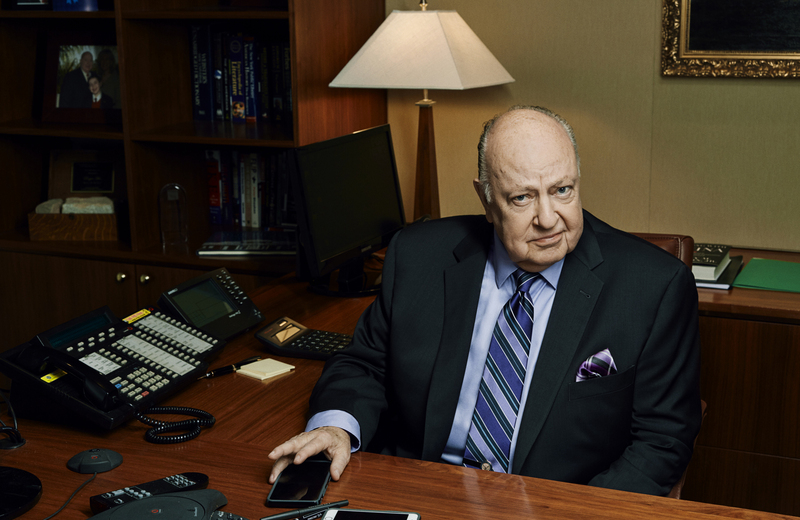 "Alexis Bloom’s 'Divide and Conquer: The Story of Roger Ailes' debuted at the Toronto Film Festival and deconstructs the Fox News mastermind, his effect on Donald Trump’s presidential election, and his serial sexual harassment. Werner Herzog’s Meeting 'Gorbachev' and Charles Ferguson’s 'Watergate,' which both screened at Telluride, are poignant reminders of milestone moments in Russian and American political leadership, just as the countries’ heads of state are entwined. 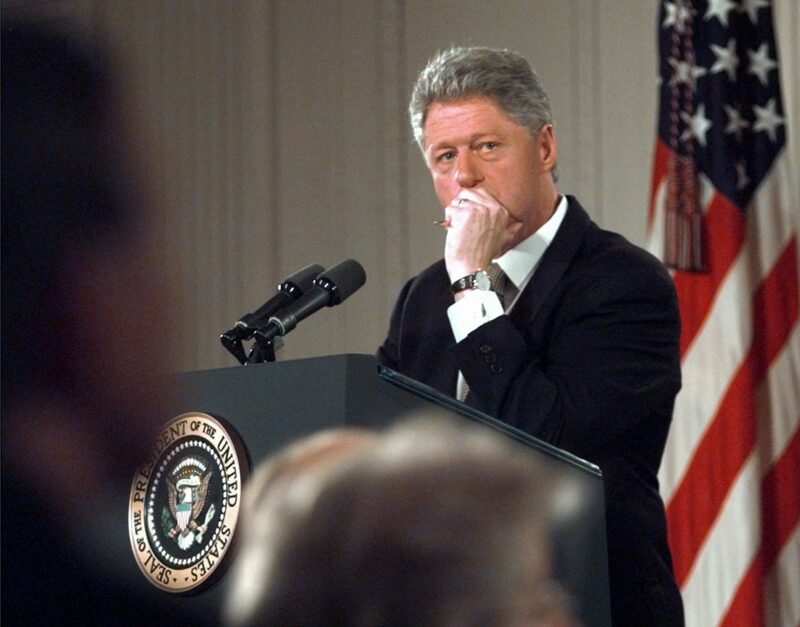 And on Sunday, A&E will debut Blair Foster’s six-part docuseries, 'The Clinton Affair,' which tackles another presidential fiasco with the help of Monica Lewinsky. "As time wore on, of course, Thompson and her cohort had to adapt. 'We spent the last two or three years adjusting to and metabolizing all the parallels with the Trump administration,' she said. 'The Trump administration has done two things—it’s fatigued us and intrigued us. I think that we were certainly in the intrigued mode when we green-lit these. I mean, Gorbachev is a little bit different. That’s more of a timeless portrait of a world leader who is a relief to the Trump chaos and static and negativity. A person who is committed to positivity and pursuit of good values and kindness. The Ailes story is not purely a #MeToo movie, but there’s no question that was an earth-shaking development when he was ousted from this company that he had built. There’s a lot of interest in the Roger Ailes story because he’s so influential—he really kind of created the network that created the president.' "